Our PUBG Sanhok guide contains tips, the best landing spots, loot spots and vehicle spawn locations. 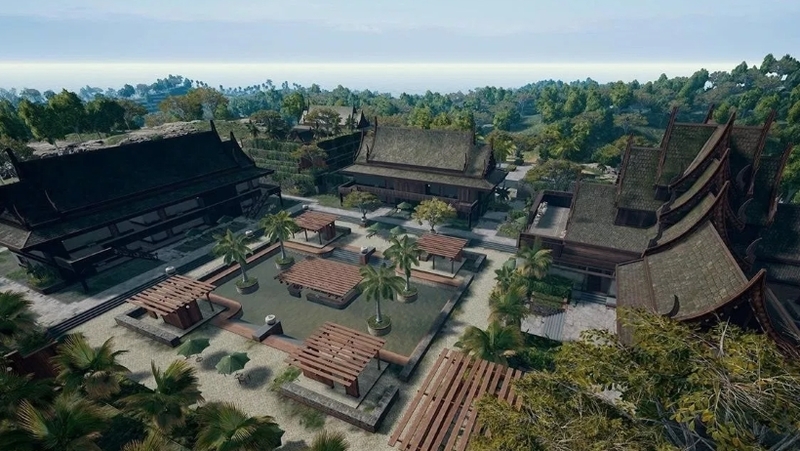 A new map is expected to launch in PUBG this week and Sanhok certainly looks to add something different to the game. With a focus on a much smaller playable area (some 4 x 4 km), you can expect faster, more frantic matches than are typically provided on the game's larger Erangel and Miramar maps. To help you master Sanhok, we've put together a guide packed full of handy tips to help you survive and prosper on this new map. If you didn't get a chance to mess around with the new content during the recent Codename Savage beta tests, you'll definitely want to brush up before dropping into battle here. We'll keep adding more help to this guide over time, and as we gain an even deeper understanding of the small-scale challenges provided by Sanhok. If you've any clever tricks of your own, drop 'em in the comments and we'll add them in with credit the next time we update this guide. Now that Sanhok's gone live, we've added in a new section that gives you a brief overview of the new Sanhok exclusive weapon the QBZ95. We'll keep an eye out for any changes and continue updating this guide as the game evolves, so stay tuned for all the latest. When you're done here, make sure you also have a look at our Event Pass guide as it'll take you through all the details you need, as well as the Sanhok themed outfits you can grab in the next four weeks! Sanhok was released on Friday 22nd June 2018. The playable area is only 4km by 4km, making it the smallest PUBG map to date. The developers believe this more claustrophobic playable area will create a more intense, and faster-paced Battle Royale experience than has ever been enjoyed before. This is the first map based on the developer's exploration of a real-world location. The team visited Thailand and the Philippines to gain inspiration for the map's assets and atmosphere. Sanhok will not affect your matchmaking rating (MMR) in any way. As it's a very different style of play to that found on the other maps, the developers want to minimise the map's impact on the overall matchmaking system. The name is derived from the Thai word for “fun” and the Filipino word for “chicken”! First up, here's an overview of the map which you can click on to make larger. Credit to PUBG Interactive Map for providing the tools to help us put this together, along with the other map images created in this guide. As a very general rule, every named location has a high concentration of looting opportunities in the main part of the zone, with less gear to be found as you explore the buildings on the outskirts. If you've already got a decent selection of weapons to go with your good aim, you can afford to go into the spicier central spots to get stocked up. If you want to play things a little more cautiously, explore the surrounding buildings where you'll likely face less immediate competition. Certain zones on Sanhok have a particularly high concentration of loot, however, and so we wanted to highlight the following areas as representing the very best loot spots on Sanhok. Bootcamp - Slap-bang in the middle of the Bootcamp complex is a building shaped a little like a pitchfork. In the centre of this building you can find a disgusting amount of armour and weapons. Ruins - The main ruin right above the name itself is a great spot to find gear, but expect stiff competition if you make a beeline for this location right away. Sahmee - The buildings closest to the zone name on the map contain the highest concentration of armour and weapons. Camp Charlie - Search the buildings nearest the centre of this location for a good shot at gearing up nice and quickly. Ha Tinh - Another location where heading to the centre will very often pay off big dividends as you scramble for new and improved gear. There are four land vehicles and two water vehicles available on the Sanhok map. Players are dropped into battle on the good-old C-130 plane. 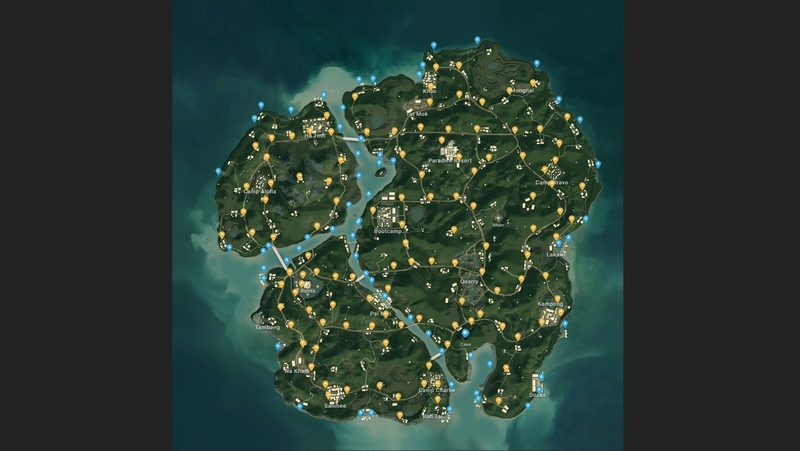 Here's an overview of all the vehicles that spawn on Sanhok, with information on how many occupants each one can handle. Be extremely cautious when it comes to firing up a vehicle on Sanhok. The playable area is so much smaller than Erangel and Miramar that you can easily give your location away by jumping in a truck and revving up the engine! Here's a map that details where you can expect to find vehicle spawns (land vehicles are in yellow, water vehicles in blue). Note, however, that exact spawns are always a bit random in PUBG, so you shouldn't expect to find that essential escape vehicle just because you really, really need it! With the release of Sanhok, PUBG Corp also introduced a Sanhok exclusive weapon to go with it. The QBZ95 is an Assault Rifle that takes 5.56mm rounds, and can hold up to 30 in its magazine. An Extended Magazine will give it a boost of 10, giving you 40 rounds in total. 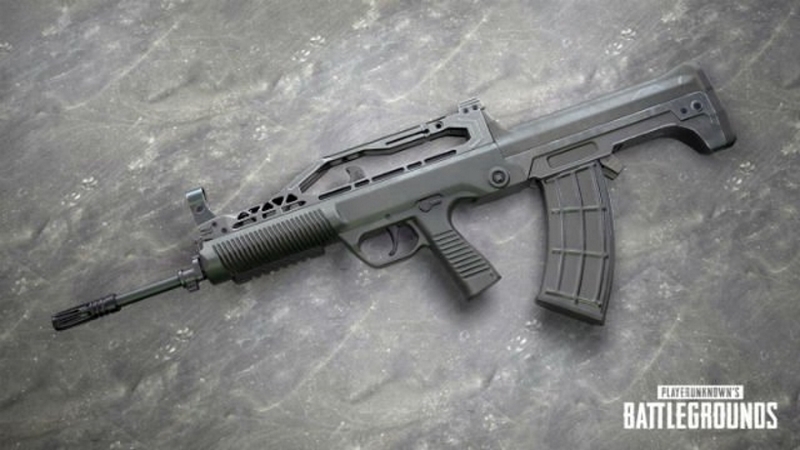 The SCAR-L has been replaced by the QBZ95 in Sanhok's map pool, so you won't find the former spawning at all. As per usual, you'll find the QBZ95 as floor loot and in Supply Crates. It's actually a very good rifle - almost overpowered from what we've seen. It's well worth picking up if you find it! Here are a few useful tips to help you get up and running on the new Sanhok map. One of the most useful things you can do on Sanhok is to prioritise slapping a silencer on your weapon of choice. As we've mentioned earlier on in the vehicle section of this guide, this is a much smaller map and you should be very careful about giving your position away. It's important that you stay on the move and do your best to be proactive. Hunkering down in a building doesn't work quite as well on Sanhok compared to other maps, and that's down to the terrain. Many buildings are surrounded by rolling hills so it's very difficult to hold a location without being flanked. As Sanhok is a much smaller map, be careful when you're attempting to heal when under fire. It's entirely possible that someone else is on your tail, so check your surroundings first before sipping an Energy Drink or using Bandages. You'll be fighting a lot so sneakier players may struggle to adapt. Take the opportunity to practice your peeking skills as it'll come in very handy when duelling opponents between buildings or behind trees. We'd prioritise Assault Rifles and Snipers on Sanhok - you can't really get much better than this setup in our opinion, although again be cautious of the racket you're making. 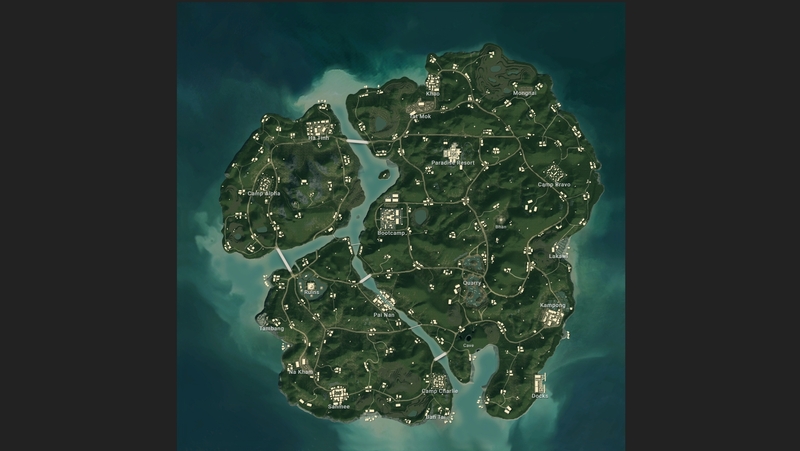 Your choice of starting zone is less important on Sanhok than on other maps in PUBG, simply because of its reduced size. Regardless of where you pick, you're almost certain to encounter other players early on. Loot is also pretty evenly distributed as well, so our advice is to simply pick a spot with a handful of buildings outside the main named section. Keep in mind as well that just because someone jumped out of the plane earlier than you did, that doesn't mean they aren't going to make a beeline for your own landing spot of choice. They may change their mind and glide over. In other words, never assume you're going to land alone - even if you wait a while to leap out of the plane. Sanhok introduces a dynamic weather system to PUBG As each match plays out, you may enjoy crystal clear shine, dense fog which seriously impacts your visibility, or just a damp and dreary Sunday afternoon. When you're stuck in the fog, consider moving quickly between trees which minimises the chance of snipers picking you off. When it's raining, be aware that moving fast causes a splashing sound which can also give the game away rather badly. As has probably been made clear in this guide already, you are going to be facing more firefights, more often on Sanhok. For that reason it's vital that you remain aware of your surroundings, where your enemies may be hiding, and where you can quickly dash to in order to gain the upper hand. Know where your nearest point of refuge is and be ready to move to it in a flash. While we've warned about the use of vehicles elsewhere in this guide, you can also use your vehicle to create a trap. Slam it into a loot spot and then bail and find higher ground. From here you have a chance to pick off anyone tempted to drop by and get the jump on the guy who just blazed in to bag all the loot! There's nothing better than seeing a supply drop come in close by on Erangel and Miramar, but on Sanhok you're going to face a lot more competition when it comes to getting your hands on the goodies. Again, it's the map size that makes bagging these items so much harder, and you should not head in to collect them without expecting stiff competition. A final word on SMGs, which can pack more of a punch overall given the size of the map and the number of medium to close-range encounters you're inevitably going to find yourself in. That concludes the second edition of our PUBG Sanhok guide. We'll be back with more tips and advice once the new map has actually gone live in the game! On that note, Sanhok will be released on Friday 22nd June 2018.